As a religious monk, you live your life the way God wants you to. No parties, no women's stories and always a groovy Bible verse on your tongue - but now the Lord presents you with a hard test: You are invited guest at the city's most blatant Halloween party. Can you resist the earthly temptations, or does your night end with 3 per mille on the pole dance pole? 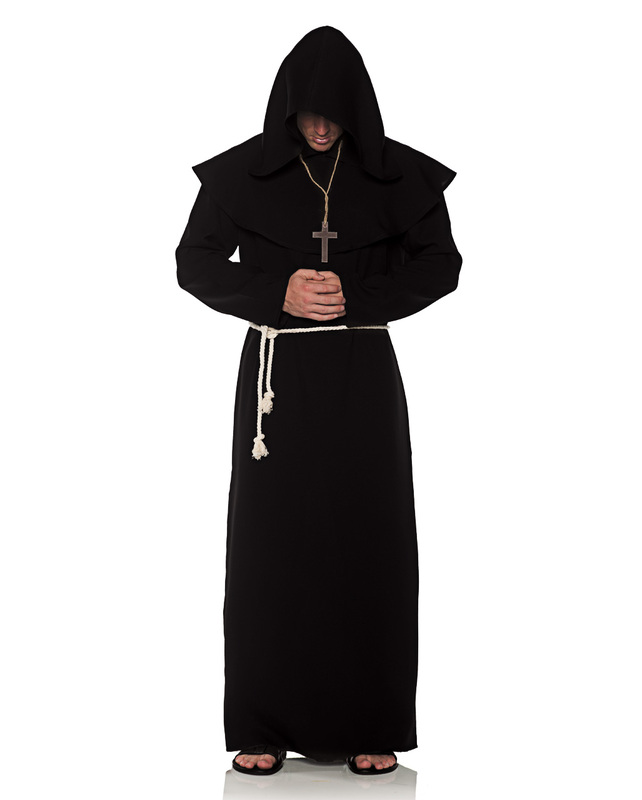 Find out and dress up in the monk's robe men's costume black as a devout church freak! The monk's robe men's costume black is a soft, black monk's habit for men. The men monk costume is available in one size (50-52) or XXL(58-60). 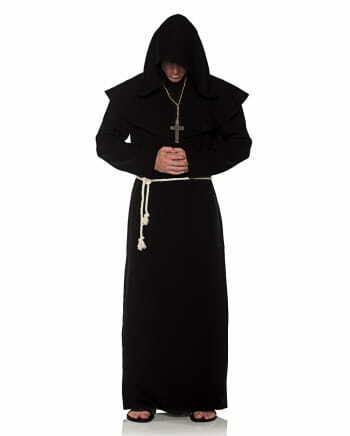 The black monk covering consists of a floor-length robe, a collar with hood and a beige cord as a belt. In this costume, you make a pious entrance. All you need is the Rosary With Crossone you can also find in the online shop. The article is made for adults and not a toy. Not suitable for children under 3 years. Contains possibly small parts that can be swallowed. There is a risk of suffocation.